Property 7: Converted barn restored and appointed to provide a tranquil retreat in Somerset. Property 17: Luxury 5* Gold Award 4 Bed/Bath ensuite self catering accommodation in Dorset. 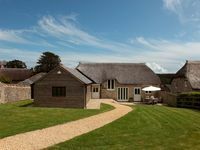 Property 18: Beautiful newly converted Barn nestled in the Dorset countryside . 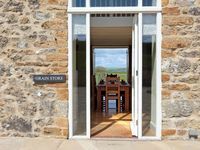 Property 23: STYLISH Barn Conversion with Indoor Pool, Dorset. Sleeps 10 - 14. Property 28: IMPRESSIVE Barn Conversion in Rural Dorset, Hot Tub & Pool. Sleeps 10. Property 45: Countryside Getaway with Hot Tub & Indoor Pool. Sleeps 8. This was our second stay in East View Barn. The house is perfect - really comfortable and has everything you need. Melbury Osmond is a gorgeous village, with lots of good walks from the house. Looking forward to our next stay in May!